After the Bowling Green Massacre debacle, Donald Trump probably could have done without any more social media gaffes this week. But he's already being pilloried for two fresh howlers which have come to light. Firstly it's emerged that a portrait uploaded to his Instagram page contained a rather embarrassing typo (we'll leave you to spot it for yourselves, but if you need a clue, it's in the second line). After social media users mercilessly mocked the error, the page was eventually taken down. But there's another mistake which continues to cause Mr Trump no end of grief. It's touching - but there's a small problem. 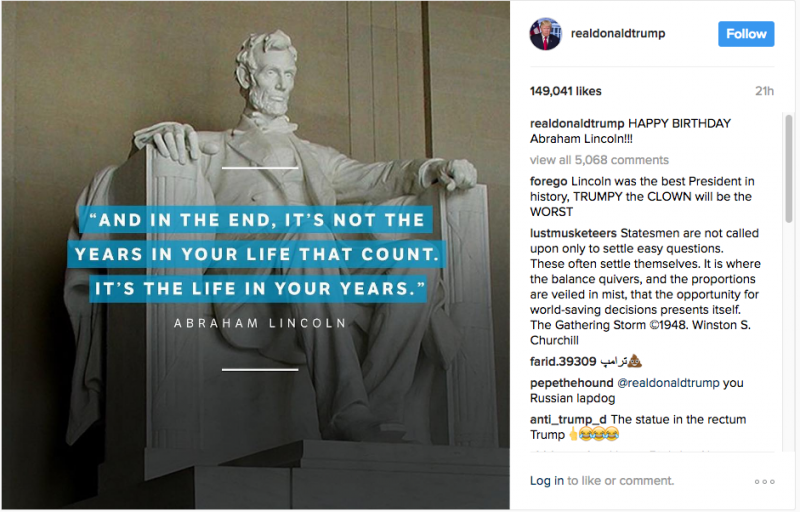 There's no evidence that Lincoln actually ever said these words. 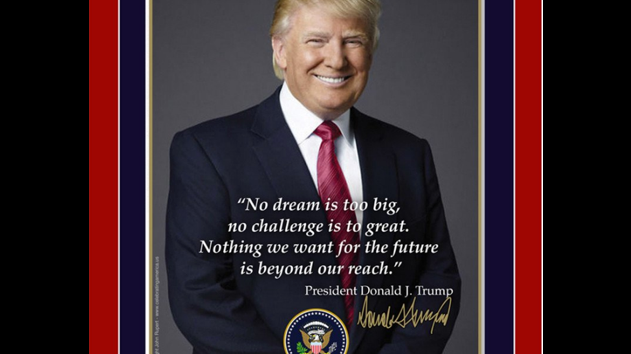 A quote investigation website actually discovered the mantra didn't actually come from Lincoln, but rather from a doctor by the name of Edward Stieglitz in an advertisment for a book as recent as 1947. D'oh! With Mr Trump just short of a month into his presidency, no doubt there will be similar episodes and occurrences to annoy/entertain the social media crew for years to come.